Nestled on the beach, this Kings Beach motel is within a 10-minute walk of Kings Beach State Recreation Area, Old Brockway Golf Course, and Kings Beach Miniature Golf. North Tahoe Marina and Jim Kelley's Tahoe Nugget Casino are also within 2 mi (3 km). 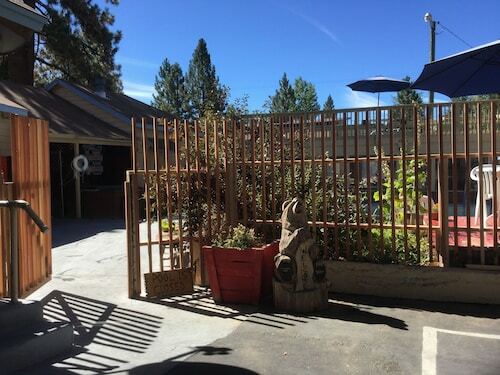 Located near the slopes, this Tahoe City motel is in the city center, within a 5-minute walk of Watson Cabin Living Museum and Commons Beach Park, and close to winter sports such as cross-country skiing and skiing lessons. Watson Cabin Museum and Tahoe City Marina are also within 10 minutes. 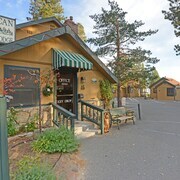 Located in the heart of Tahoe City, this motel is within a 5-minute walk of Tahoe City Marina, Watson Cabin Museum, and Watson Cabin Living Museum. Commons Beach Park and North Lake Tahoe Visitors and Convention Bureau are also within 15 minutes. 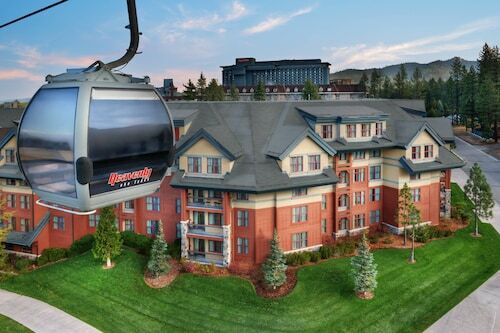 Located in the mountains, this Truckee condo building offers ski-in/ski-out access within 6 mi (10 km) of Northstar California Golf Course, Northstar California Resort, and Big Springs Gondola. Commercial Row and Ponderosa Golf Course are also within 9 mi (15 km). How Much is a Hotel Room in North Lake Tahoe? 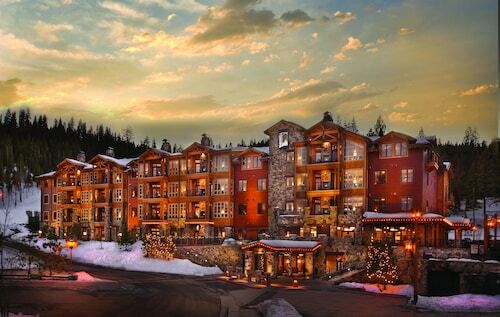 Hotels in North Lake Tahoe start at $45 per night. Prices and availability subject to change. Additional terms may apply. 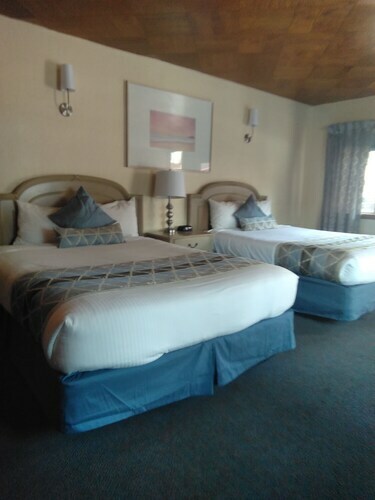 If you are searching for nice lodgings in the North Lake Tahoe area, you'll be excited to find there is a wide range of possibilities on offer. 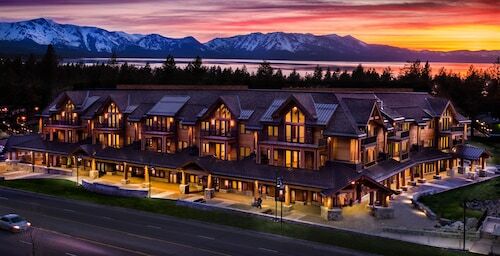 You will find 37 hotel establishments within easy driving distance of the heart of North Lake Tahoe on Travelocity's up-to-date hotel database. 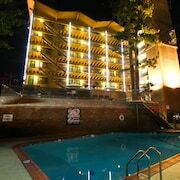 The Tahoe North Shore Lodge, is the perfect selection for the busy traveler due to the fact that it's the most centrally situated Travelocity-listed accommodation option in North Lake Tahoe. Are you looking to book cheap and cheerful accommodations? 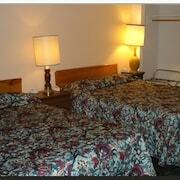 You could investigate the Sun 'N Sand Lodge, Aviva Inn and Tahoe Inn. 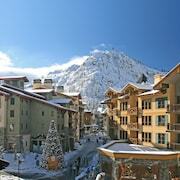 The Constellation Residences at Northstar is located 4 miles (6 kilometers) from central North Lake Tahoe. 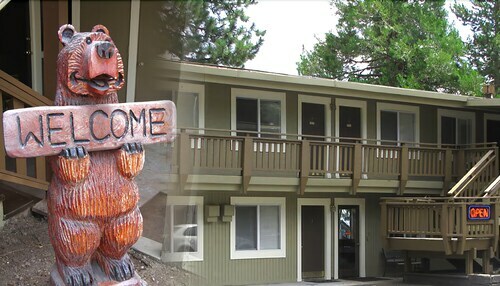 If you would prefer another option, the Northstar Lodge By Welk Resorts is positioned 4 miles (6 kilometers) away. Alternatively, you may wish to book the The Ritz-Carlton, Lake Tahoe or the Grand Residences by Marriott, Tahoe - 1 to 3 bedrooms & Pent. After you have learned about North Lake Tahoe, why not tour a little bit further afield? The Northern California area boasts plenty of things to offer visitors. Northern California proudly offers mountains. Popular traveler attractions include art museums, art galleries and street art. Popular activities in this corner of United States of America include snowboarding and skiing. 25 miles (37 kilometers) from North Lake Tahoe, you will find South Lake Tahoe, where you can explore Heavenly Ski Resort and Emerald Bay State Park. 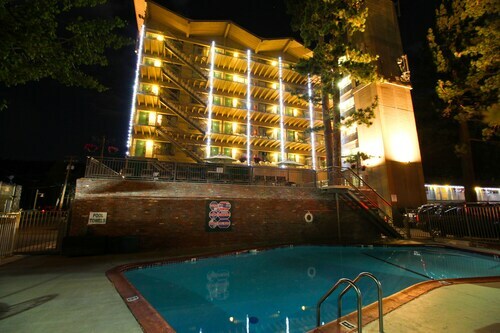 South Lake Tahoe hotels and apartments include the Tahoe Valley Lodge and 1847 Shady Lane. 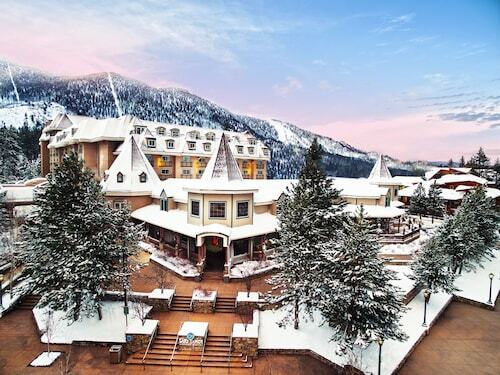 Or, you could stay the night in South Lake Tahoe, 20 miles (35 kilometers) to the southeast of North Lake Tahoe, where you can choose between the Tahoe Seasons Resort, a VRI resort and Kingsbury Of Tahoe. The Park Tahoe Casino Resort and Casino at Harrah's Lake Tahoe are a couple of the frequented places to get to know should you visit South Lake Tahoe. Reno-Tahoe International Airport is a closeby arrival point for flights, and can be found 25 miles (41 kilometers) from downtown North Lake Tahoe. 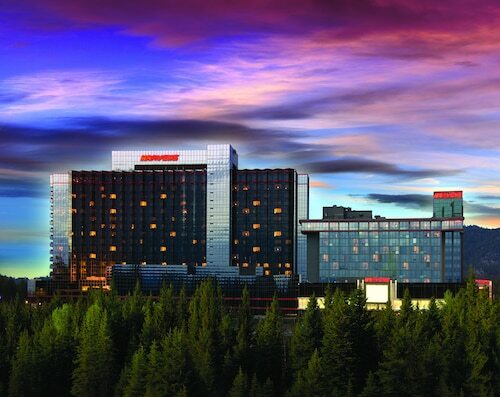 Conveniently located hotels include Club Lakeridge Resort and Homewood Suites Reno.